I've been spending a lot of time at my desk lately. Between 3 projects in the middle of major construction, various other small projects, reading blogs ;.) the new wedding biz, keeping up with invoicing, tax records and emails, I can spend hours and hours in front of the computer. Most of my hours at my desk are at night. And my chair had this squeek to it every time I moved. And it wasn't the most comfortable thing in the world. And it was brown. Not that brown is bad. But it isn't white. Oh, how much I wished it was white. Last week, as I walked through Staples to pick up a 2012 calendar (weddings are booking up!) I spotted a white leather chair. It is not the one I have been coveting (sleeker and much more expensive) but it was very comfortable. And the price was right. And I had a coupon. The instructions said "easy". Which sounded great because I am tired of complicated instructions with drawings that take a rocket scientist to comprehend. And they were. Just three easy steps. Now you know where I spend most of my nights (this exciting life that I lead!). The brown chair with the squeak has a new home. Next door in my husband's office. Wowsers!! 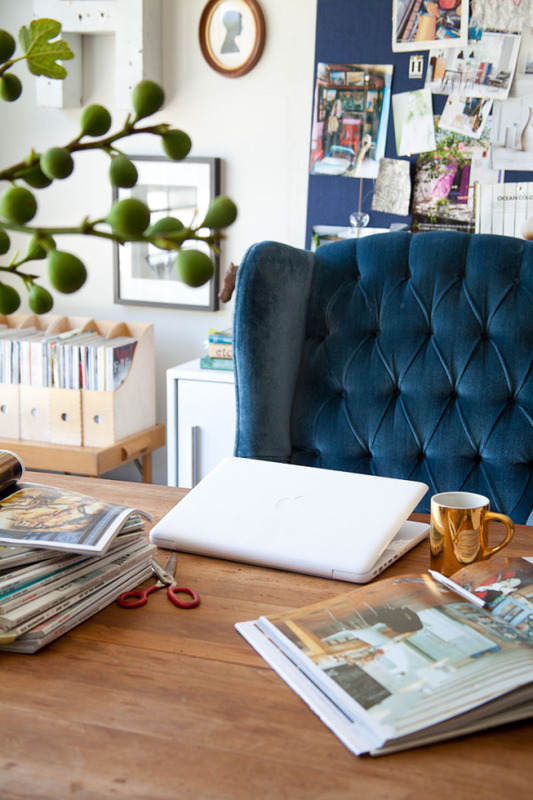 That chair is a stunner! So very nice, it's perfect for you and the room! Can you get used to the missing squeek? 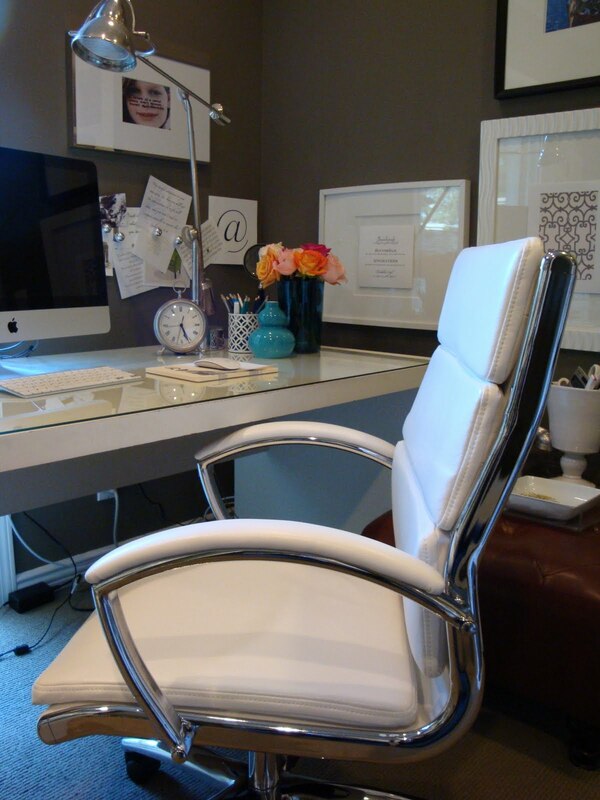 Love the new chair...the perfect fit for your office!! PS Congrats on being so busy with work, that is wonderful!!! Love love love this chair. Very sleek and feminine and it looks comfortable, too. 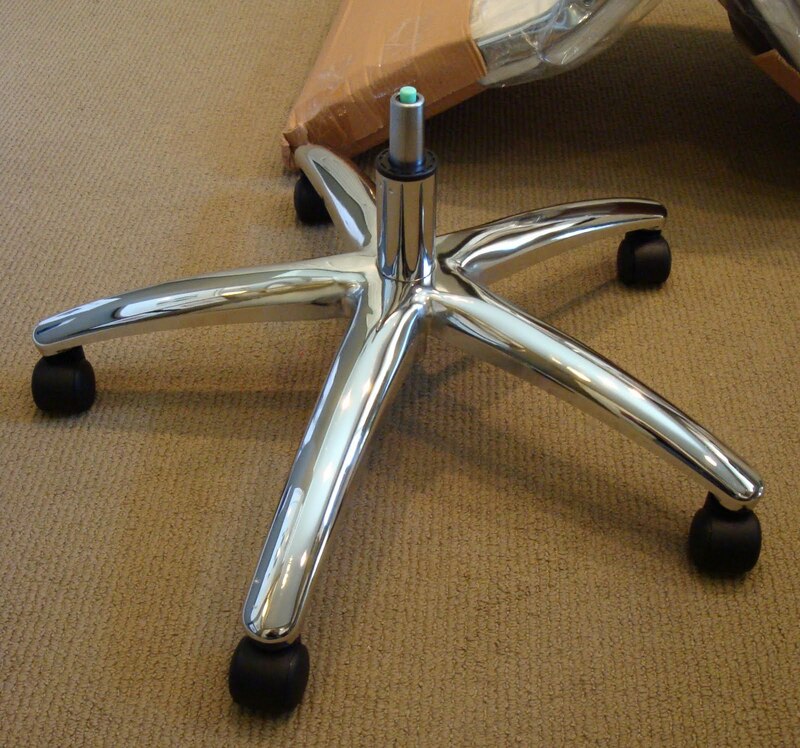 Now I am rethinking my new desk chair. Got any more Staples coupons? 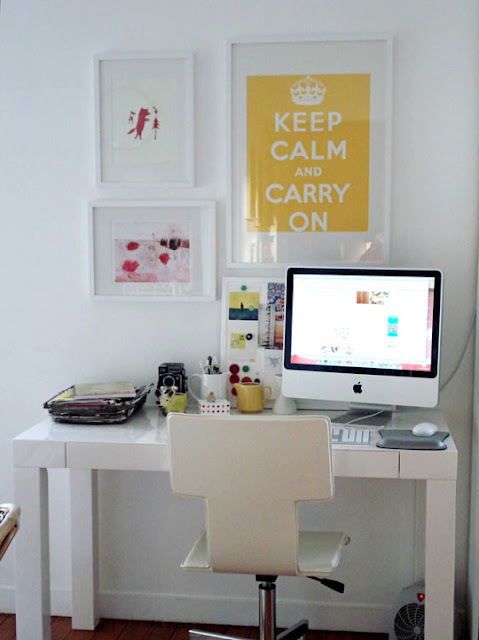 I love it - it may not be your dream chair, but I think it's pretty perfect for the space (and the price)!